The sudden demise of Nandyala MLA Bhuma Nagireddy due to heart attack has left his acquaintances in film and political worlds utterly shocked. Stars like Chiranjeevi, Balakrishna and Mohan Babu expressed their condolences over Bhuma’s death. 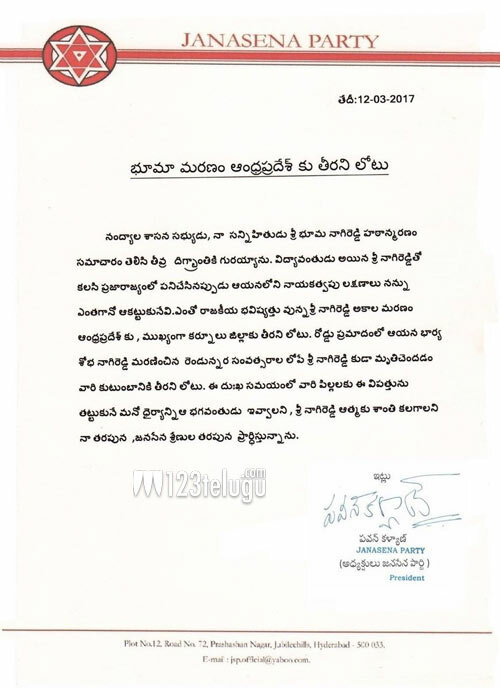 Film star and Janasena Party President Pawan Kalyan too issued a press release in which he mourned the death of his good old friend. Pawan recollected his association with Bhuma during his stint with Praja Rajyam Party’s campaigns and lauded his leadership abilities. 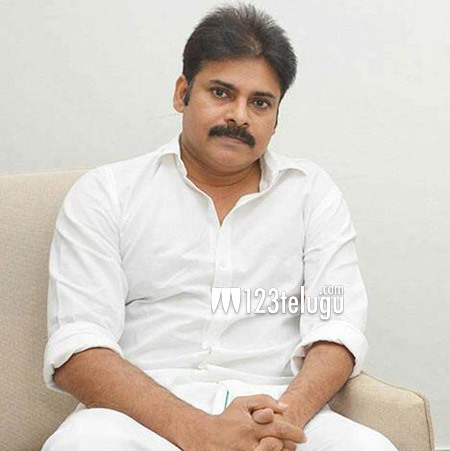 Pawan said that Bhuma’s death is a great loss to AP and Kurnool politics and extended his condolences to his children.